We are holding a study on a new medical device (think Cool Sculpting), and need to get the professional opinions from Dermatologists, Plastic Surgeons, and Aesthetic Physicians. This study pays $1250.00, and requires a 4 hour commitment. There is approximately a 2 hour training session, a 1 hour break, then a 1 hour testing session where they will be asked their opinions on the device and to test on a mannequin for observation. Doctors will need to provide a W-9 form, as the stipend is over $600.00. Checks will be sent within 7 to 10 days of study completion. 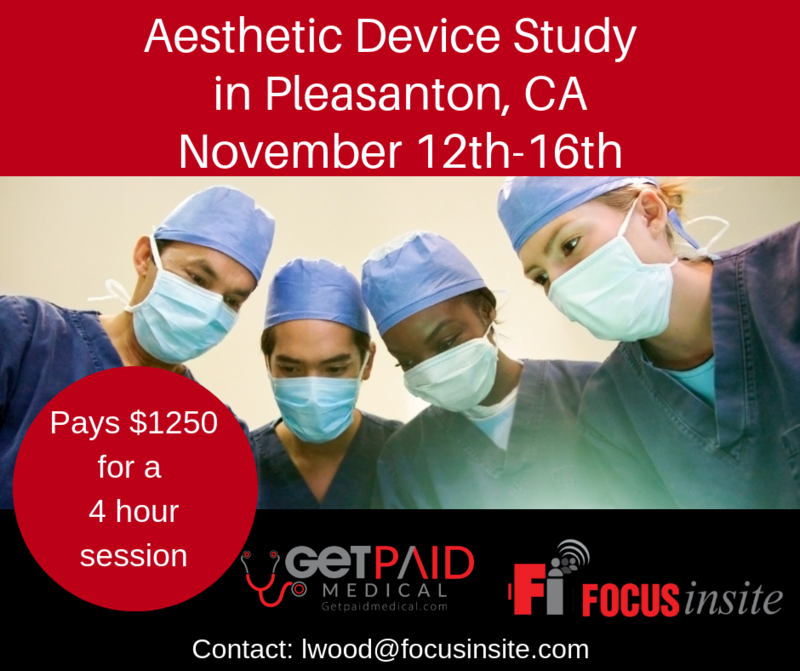 All sessions will be held in Pleasanton CA. Stanford Alumni? We want to talk to you! Get paid $75.00! Teen Gamers in San Francisco- Paid Study for $150.00 on April 25th!